It seemed only natural that Manheim Australia would take its partnership with a local charity to the next level. After all, exemplary community service is a daily part of work at this Cox Automotive brand. It all started in 2006 when Kids Under Cover, a Victoria-based nonprofit, turned to Manheim Australia to auction donated cars, with the proceeds used to prevent youth homelessness. 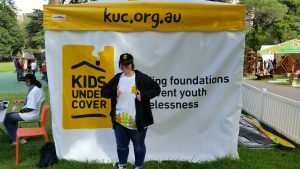 Kids Under Cover provides relocatable studio accommodation for young people at risk. The organization also provides financial scholarships for education and job training to help young people thrive and stay connected to the community. These efforts help keep families together and prevent young people from becoming homeless. 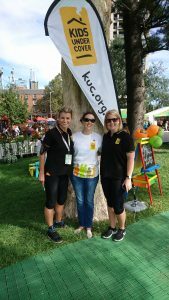 At the time, Kids Under Cover’s “Donate Your Car®” Program was primarily operating in the state of Victoria. With 10 Manheim auction sites dispersed throughout the country, it only made sense to expand Donate Your Car® nationwide. So the two organizations joined forces, with Kids Under Cover handling advertising in each state and Manheim picking up and selling cars all across the country. It was a match made in charitable heaven. “It’s really through a mutual collaboration that we were able to help grow their funding base,” says McAuley. And the results have been eye-popping, with funds raised leaping from $32,000 in 2006 to over $2 million in 2017! So far, Manheim Australia has helped Kids Under Cover raise more than $9.2 million through the sale of more than 20,000 donated cars. And they’re projected to exceed the 2017 figures in 2018. In fact, Manheim has been recognized by the Australian federal government for its contribution to end youth homelessness. Once car donors fill out a form on the Kids Under Cover website, the Manheim team springs into action. The brand’s transport team books a tow company to pick up the car, usually from a person’s home. Manheim keeps the cost as low as possible by procuring the car without any mark-up. Once the car arrives at a Manheim site, it is processed just like every other car that goes to auction. The cars are booked-in, inspected, and photographed. Some vehicles are detailed; but all are photographed, advertised, and go into the auction cycle. They are auctioned every week all over Australia as a normal part of the Manheim business. Funds received are then remitted back to the charity monthly. So every Manheim Australia team member plays a role, from the transport department, the inspection team, operations staff, auctioneers, and the finance department. It’s an all-in, all-hands-on-deck daily way to give back. For McAuley, it’s a win-win for everyone.